I love this show…it’s prohibition chic. All 20s outfits and lingo. I’m so glad Steve Buscemi has the lead in it. He’s long overdue for a starring role in a quality show. Listen….don’t judge me. I told you why I watch it. 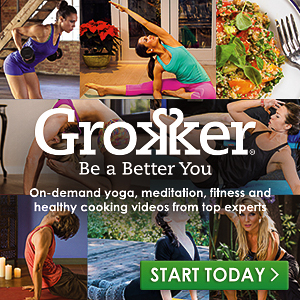 I love this show, but I am not sure why Jillian’s gone, and not sure if I like Anna Kournikova being there….whatevs. I dig watching these folks do things they didn’t think they could. I always cry right along with them during their weigh ins. I’m an MMA fan and I like UFC a lot, this reality show is one of my faves, partly because it’s one of the reality shows John will watch with me, and partly because I love the fights and seeing these big tough guys acting like lil beyotches. A bunch of guys basically have to fight their way into the UFC, they win a contract at the end. (It’s like top model except voilent) If I get reincarnated as a boy, I’m totally going to be a fighter. John and I recently heard about this show and watched it from season one to the current season….Oh man. I LOVE everything about this show. The acting is great, the storyline is awesome, the way it’s shot is perfect and even the sound is impressive. It’s weird to be rooting for the drug dealers (kinda like when watching The Wire) but how could you not love Walt?! I tried out a couple new shows, Revenge I didn’t think I was going to like, but tried it and am excited to see this chick take those snobby b*tches down! Tho I do feel bad for poor Daniel. What shows are you watching this season?! Do you watch any of the shows I listed? How do you like em? I love Boardwalk Empire! The writing is excellent and yes, Steve Buscemi does a great job. I watch the Biggest Loser too. I like Anna, but she doesn’t have the same energy as the other trainers, she seems more quiet. I thought Jillian left because she was getting her own show, but I haven’t seen her in anything since she left. Revenge, is good but I only saw it a few times. I can’t comment on the 90210 as I would never watch it. I never like remakes of something I’m a fan of. The original was my favorite show at the time it was on air, they were the same graduation class as me :). . Oh, and that guy from the Vampire Diaries looks like Rob Lowe. I don’t watch that either but I can’t judge. I watch Covert Affairs mainly just to get my Sendhil Ramamurthy fix, lol. 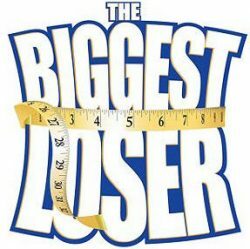 I use to watch the biggest loser but it got boring after awhile especially since Jillian left. I usually like to watch pawn stars, 48hrs, and house hunters. I have not been watching tv as of late so I have a lot of catching up to do on my dvr. My tv also stays on the food network. I am loving Broadwalk Empire, Revenge, all of the CSI’s, Blue Bloods and Hawaii Five-O. LOVE the biggest loser, so happy Anna left after one season! I didn’t like her personality too much for the show. I love breaking Bad but I haven’t watched the second series, because it was becoming too heavy for a pregnant woman like me, LOL. I would like to watch Vampire Diaries, but I haven’t seen the first series so I am not sure i would understand the whole thing. I never liked 90210, the series in the 90s and these series of the 2000s. Me and the TV haven’t been on speaking terms lately. Outside of my guilty pleasure Real Housewives and sometimes CNN – I couldn’t tell you what good shows are on. LOVE LOVE LOVE Chopped! We don’t have cable but Food Network oddly enough still comes streaming through our TV. DH watches Breaking Bad online and is SO into it. Every so often I jump in on an episode and ask a ton of questions (which he patiently answers) so I can get sorta caught up. We also like Walking Dead. We used to watch Mad Men but don’t know what ever happened to that show. We moved this summer and had to make some budget cutbacks….which included the DVR. With that said, I used to watch my shows whenever I wanted. Now I have to watch them when they actually come on and that has messed me up. I might actually check out watching them online. I don’t really watch the shows you mentioned above, but I LOVE Grey’s Anatomy. i haven’t heard of the first show but i love the ultimate fighter!! I am not watching a lot of TV these days because I am of-course engulfed with work. But I still love music, so I tune in to X-factor every wednesday. I have been enjoying two new shows this year…Grimm and Once Upon a Time.